(Washington, D.C., May 12, 2016) Today, Larry Klayman, a former federal prosecutor, previously announced the filing of an amended complaint in a lawsuit against former FDA Commissioner Dr. Margaret Hamburg, her husband Peter Brown, other corporate executives of Renaissance Technologies, and the pharmaceutical drug company Johnson & Johnson. A copy of the amended complaint can be found at www.larryklayman.com. Also today, the Food and Drug Administration (FDA) finally came clean about the dangers of the common Johnson & Johnson antibiotic, Levaquin, stating it may result in "disabling and potentially permanent serious side effects...."
The amended complaint alleges, inter alia, that the defendants engaged in a criminal racketeering conspiracy in order to have a positive impact on Johnson & Johnson by withholding material information about the deadly dangers of Levaquin, an antibiotic used for routine infections. The amended complaint alleges that Hillary Clinton pushed to have President Obama nominate Hamburg as FDA Commissioner as part of a quid pro quo. Hamburg however had a huge conflict of interest particularly with regard to Levaquin. As alleged in the amended complaint, and as can be verified independently from U.S. Securities & Exchange Commission reports, while Hamburg served as FDA Commissioner, her husband, Peter Brown, served as Co-CEO of Renaissance Technologies hedge fund which held as much as half a billion dollars in Johnson and Johnson stock. Thus, as alleged in the amended complaint, if Hamburg had allowed the disclosure by the FDA of Levaquin dangers, which already has killed over 5,000 persons and left tens of thousands debilitated with life-threatening illnesses, the stock her husband's company held in Johnson & Johnson would have plummeted due to anticipated lawsuits. Instead, Hamburg, her husband, Renaissance, and Johnson & Johnson are alleged to have profited handsomely. 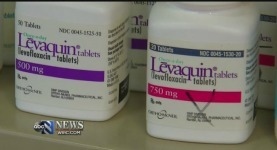 Today, the FDA finally admitted that Levaquin and related fluoroquinolones should not be taken for routine infections and should only be taken as a last resort, as they are highly dangerous and life threatening and are "associated with disabling and potentially permanent serious side effects...." Indeed, the FDA previously documented over 5,000 related deaths and tens of thousands of related illnesses that are life-threatening and debilitating. In its "Drug Information Update – New Drug Safety Communication on Fluoroquinolones" of May 12, 2016, the FDA finally came clean, undoubtedly as a result of the lawsuit filed by Larry Klayman on behalf of these victims and as a result of the related negative publicity this caused. Patients should contact your health care professional immediately if you experience any serious side effects while taking your fluoroquinolone medicine. Some signs and symptoms of serious side effects include tendon, joint and muscle pain, a "pins and needles" tingling or pricking sensation, confusion, and hallucinations. Patients should talk with your health care professional if you have any questions or concerns. Health care professionals should stop systemic fluoroquinolone treatment immediately if a patient reports serious side effects, and switch to a non-fluoroquinolone antibacterial drug to complete the patient's treatment course. We urge patients and health care professionals to report side effects involving fluoroquinolone antibacterial drugs and other drugs to the FDA MedWatch program, using the information in the "Contact FDA" box at the bottom of the page. "The alleged criminal RICO corruption we are seeking to remedy in this case is typical of Hillary Clinton and the rest of the sleazy politicians of both political parties that infest Washington, D.C. It helps explain why the political establishment and their lobbyist friends at companies like Johnson & Johnson are being shown the door by the voters during this year's election. By asking for over $120,000,000 in damages and $750,000,000 in punitive damages, if the victims are successful, they will put a chink in the sides of these alleged criminals and send a loud message that this misconduct will no longer be tolerated. The drug Levaquin has killed and seriously harmed thousands and all of the defendants have blood on their hands for which they must now be brought to justice and held accountable, both civilly and criminally."